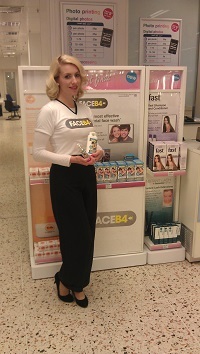 Need Promotional Staff for an Event at Bluewater Shopping Centre? Do You Need Promotional Staff for an Event at Bluewater Shopping Centre? Currently the fifth largest shopping centre in the UK in terms of physical size, with 27 million annual visitors, it is no wonder you are considering holding a promotional event at the Bluewater Shopping Centre. Barely 18 miles south-east of London city centre, Bluewater Shopping Centre is a popular place to visit, shop and eat. It also has a calendar of social events, from children’s storytelling to Young Driver driving lessons. These events are a tactical move to attract a wider customer demographic to the centre, perfect for your brand to piggyback and reach your customers at the same time. The Bluewater Shopping Centre is a busy place but that doesn’t guarantee success. Shoppers have one thing on their mind – browsing the shops! – and so your event might not be on their list. Our promotional models and event staff are adept at attracting attention. Brand awareness is essential to the continuing success of your business. By attracting the attention of your customer demographic at a Bluewater event, our promotional girls, models and brand ambassadors will extend the reach of your brand by engaging with customers. It isn’t just about selling. Brand familiarity is key to promoting customer loyalty. Would you like to know what your customers think about your product, packaging or service? Do they have suggestions for improvement? What are they looking for in a product or service like yours? How many times do they buy your product? Why don’t they buy it? Feedback and data capture are commercially sensitive, the basis on which a business like yours could use to push your business forward. Our data capture staff would be the perfect resource for your event at Bluewater Shopping Centre. Our brand ambassadors would be too. Or maybe you think hiring sampling staff would make your event more of a success? We are a leading promotional staffing agency, with exceptional promotional staff based across the UK. Working closely with sponsors and brand within the motor and motorsports arena, with your staff in hot demand for all kinds of promotional events, including those held in large shopping centres such as Bluewater. Helping you to get results and confident that our promotional staff, models, brand ambassadors and sampling staff will exceed the goals and targets you set them. Make more of your next event at Bluewater or any other shopping centre by hiring promotional staff from Pitlane Promotion. Talk to us on 0844 800 0071 or use our contact form. By requesting a quotation I give Envisage Promotions permission to contact me regarding their services. Please type 'Yes' in the box to agree.